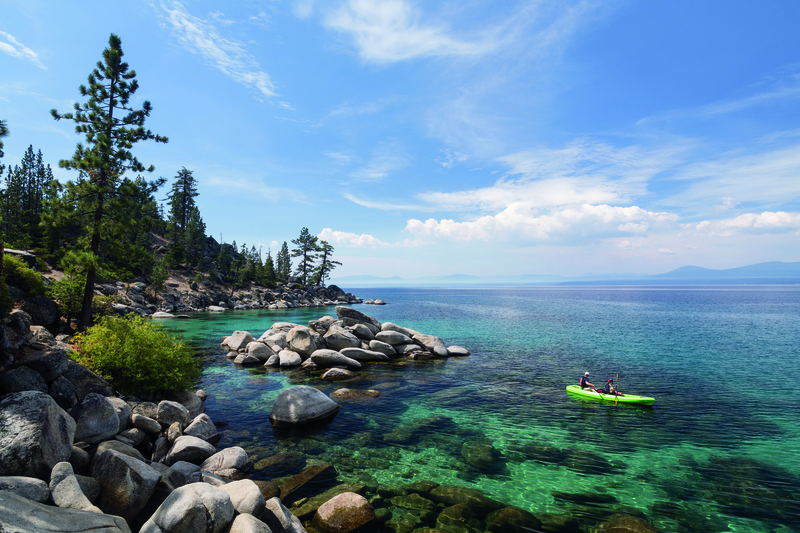 Come in summer or come in winter; regardless of season there is a multitude of ways to live it up in Lake Tahoe. The first thing that strikes me about Lake Tahoe is that it’s not how I pictured Nevada or California. The landscape here is pure Colorado meets Pacific Northwest and just looking at it is like ingesting a chill pill. The property is everything you would expect in a Ritz Carlton, meaning luxury and flawless customer service. Unlike some of their locations in big cities, the Tahoe property reflects the laid-back nature of its setting. 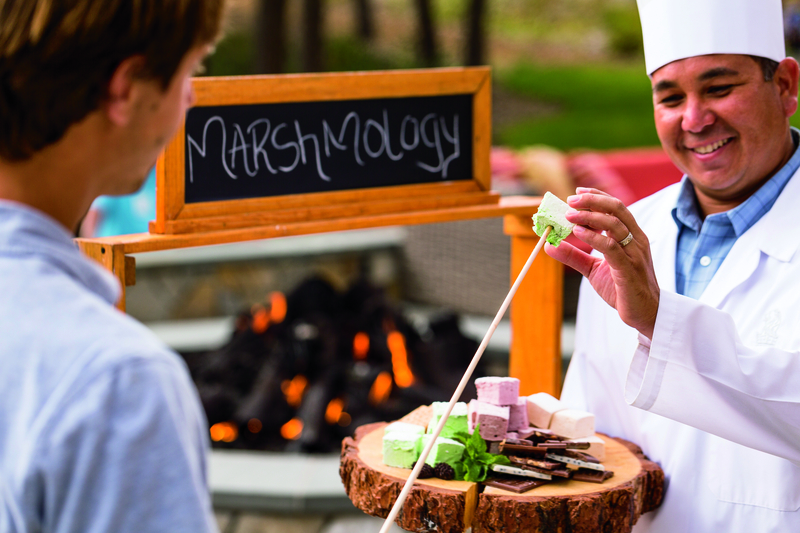 When the resort’s signature event is a daily s’mores roast complete with homemade marshmallows dished up by a Marshmologist, you know the place doesn’t take its self that seriously. The night I roast, its blueberry and strawberry lemon marshmallows. Who doesn’t love making s’mores? S’mores in stomach, it’s time to take part in the activities the area is known for to burn the calories off. From the hotel I have access to a wide range of hiking trails in the Northstar ski town. I take the Sawmill Lake trail and get into the woods and mountains a bit and have views of another area lake. The trails are great if you’re into mountain biking, and, of course, skiing or boarding in the winter. But really, the lake you’re here to see is Lake Tahoe. One of the deepest lakes in the world, the water is startling clear and reminds me of the oceans around Bora Bora and in the Caribbean. It’s not unusual to be able to see down 60 or 70 feet, and you get the contrast of green and blue water. There is something about being around water that I find instantly soothing and peaceful, qualities I’m trying to cultivate more of in my life. The waters are a bit cold for swimming, even in August, but they’re perfect for kayaking, as my friend and I did, or for jet-skiing or sailing. 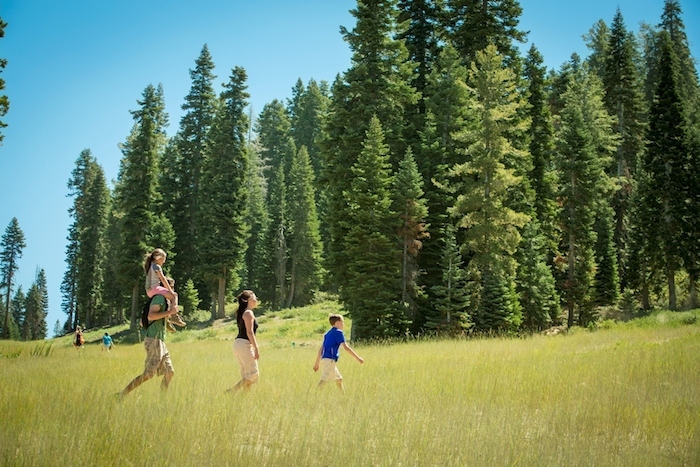 To get a feel for the area, drive about 70 miles around the lake, stopping at public beaches like King’s Beach, go hiking near Emerald Bay or ski Heavenly in South Lake Tahoe. After several days packed with outdoor adventure, I decide to take it easy on my last day and head to the 17,000-square-foot Ritz Carlton spa for the Napa Journey. Just four hours from wine country, this is pretty close to a local treatment and one that uses all organic ingredients inspired by wine country. Before the service, I relax in the lounge, sipping on cranberry/elderberry infused water that is so good, I ask my therapist where I can buy the drops to enjoy at home. One thing I love is that the spa facilities are open to all resort guests, whether or not they book a service. The treatment takes place in a couple’s room furnished in warm woods, with big windows overlooking pine trees and the mountains. It starts with a passion fruit scrub that smells divine and feels less thick and gritty than many scrubs I’ve had in the past. I surrender to my body’s message and follow the spa treatment with time in a poolside cabana poolside. My friend and I feast on a fruit plate, work out a new business idea and simply enjoy being together after four years apart. The Ritz Carlton is located near the upscale community of Truckee, where you’ll find quaint boutiques like Bespoke, an Etsy style store in the real world, or Lorien Powers, a local jeweler. For a relaxing afternoon, head to the Truckee River Winery to play bocce while sipping on some award-winning pinot noir. Try local dining places like Moody’s for a casual bite or Trokay for fine dining. Gourmands don’t even need to leave the resort to flex their foodie muscle because Manzanita serves up farm-to-table cuisine. My friend and I split a grilled peach salad with some of the sweetest peaches I’ve had this season. I have another appetizer as my main course, the sashimi of escolar while my dining companion chooses the salmon entree. 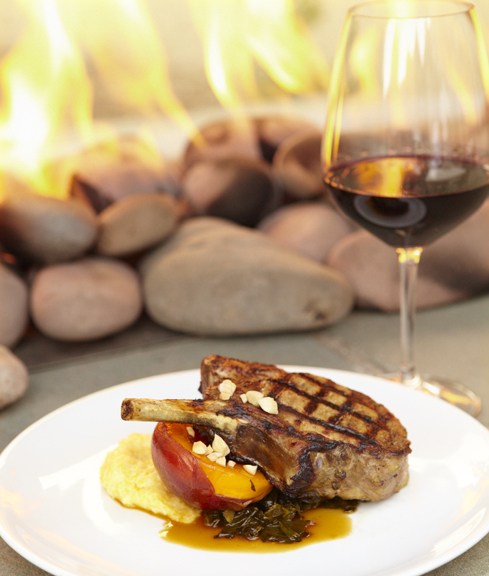 If you’re looking for something less formal, the Backyard BBQ showcases the first smoker at any Ritz Carlton. No matter where you end your night, if the weather is good, be outside to see some of the best sunsets Mother Nature can dish out. One night, sitting on a pier on the lake that my friend and I have to ourselves, we’re treated to a changing sky that looked as if it were being painted with Monet’s brush. From orange to red to pink, every five minutes the masterpiece changed. As we sit there toasting our friendship over wine, I realize how amazing this world really is. The problems I wrestle with in my daily life float away like a cloud overtaken by the beauty, peace and perfection in that moment. For me, that is the essence of wellness travel.